Disclosure: This is not a sponsored post. Jakks Pacific sent us these toys for reviewing purposes. All words and opinions expressed are 100% my own. There is a little button the you press, that's the queue for Elsa and Ana to start singing "Do You Want To Build A Snowman". Together they move and it looks like they are actually building Olaf. 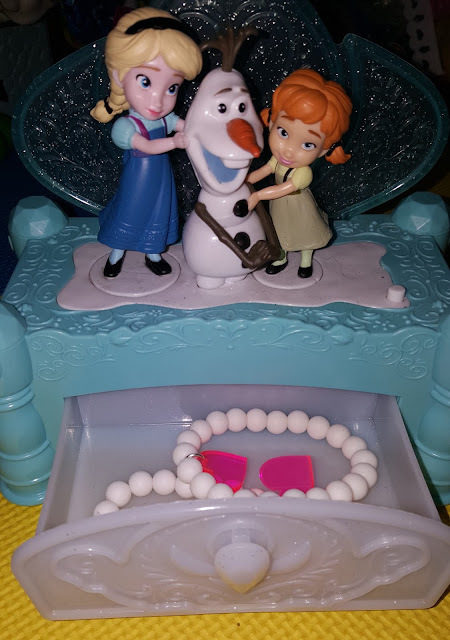 Valentina has been loving the little drawer it comes with, their she will put away her little rings or bracelets that her grandma gave her. I love that it is so easy to use, little ones can easily press the little button and open the drawer. Helping them feel independent. Perfect little jewelry box for any Frozen fan. It will have you dancing with your little one. Make sure to stop by your local toy store and buy one before they are sold out. This is for sure to be a must have this holiday season. Who said cars or trolleys are only for little boys?! This is the prefect example of a gender neutral toy. I mean all toys can be played by little boys and little girls a like. But the colors on this toy are just perfect. Not blue or green or pink or purple, but a fun red. We are already big fans of Daniel Tigers Neighborhood, so when Valentina saw Daniels trolley she was jumping for joy, in her own words "aniels ar"
This is the Deluxe Electronic Trolley version and it comes with one Daniel action figure and one Mom tiger action figure. As long as some safety gear and stop light sign. This is a fun and educational toy. I've been loving the fact that I can play with Valentina and teach her about crossing the street safely. 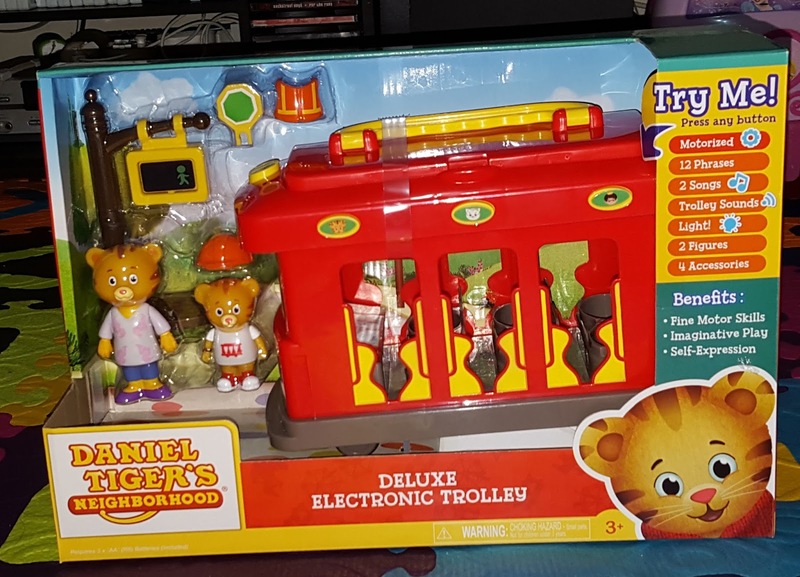 Your child will love listening to the Daniel Tigers Neighborhood theme song with the press of one button. It also has more buttons for more fun noises and some fun phrases, the buttons are the cutest character buttons. What's even better is that the trolley opens up on the top for easy storage. 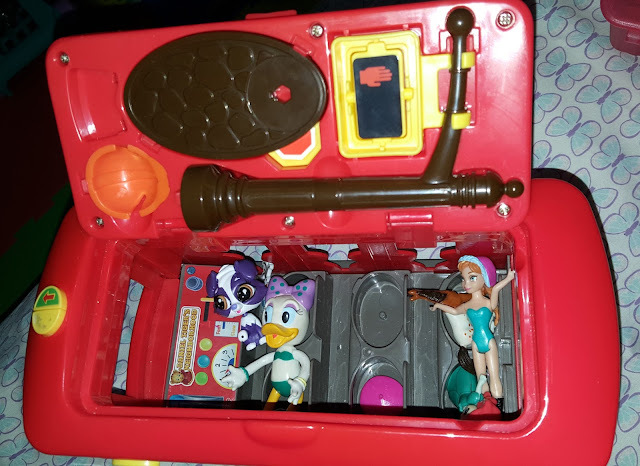 Once she's done playing we just put all the accessories on the top part and the little dolls stay put in the seats. Valentina loves using the trolley with her other toys, imagination at it's best. This is another toy that is sure to be sold out this holiday season. We celebrate Christmas and Three Kings Day, coming up in January and I know a few little ones who would love this. Make sure to follow us on Youtube, there you can see Valentina playing with her trolley. 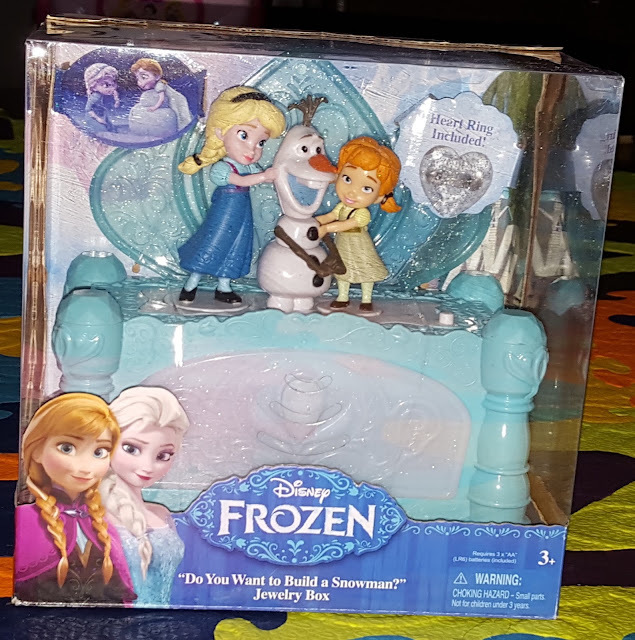 1 comment on "Let It Go & Daniel Tigers Neighborhood Toy Review"